Like the new duds? We're sprucing up the place, so click around and see what's new! I have seen oversized clutches everywhere lately and I couldn't wait to get my hands on one! 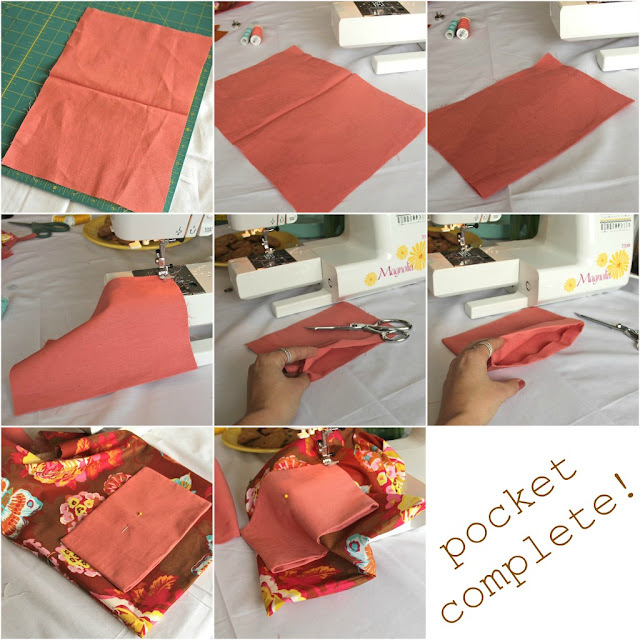 Today, I'll teach you how to save some pennies and sew one with a magnetic closure that is large enough to hold your iPad or e-reader, along with other necessities. 1. Cut out a pocket, mine ended up being 8X11 inches & fold it in half. 2. Cut out your outside fabric (mine was 11X15 inches). I used my iPad as a guide for how large I wanted it. Use that to cut out the interior fabric with the same dimensions. 3. Pocket: Fold the fabric in half, if you haven't already, and stitch up the sides, leaving a long side open. Turn it right side out and press, turning in the raw edges. Pin this onto your lining fabric and sew along the sides & bottom. This leaves a nice and clean top part of your pocket! Here is a step-by-step photo break down. 4. 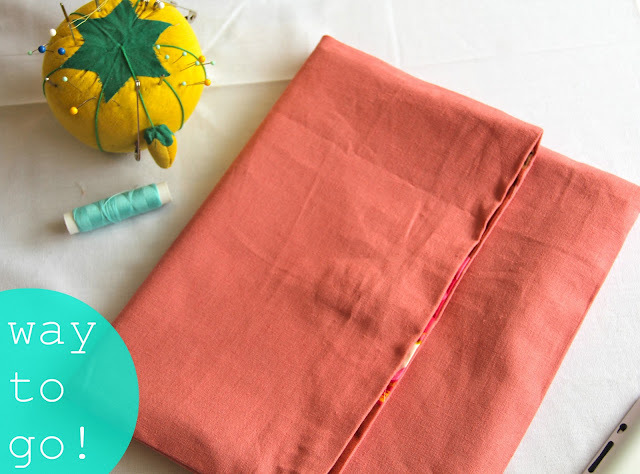 Fold each fabrics lengthwise, with the right sides of the fabric facing each other. Sew up the sides of your EXTERIOR fabric and make sure you leave the top open. 5. 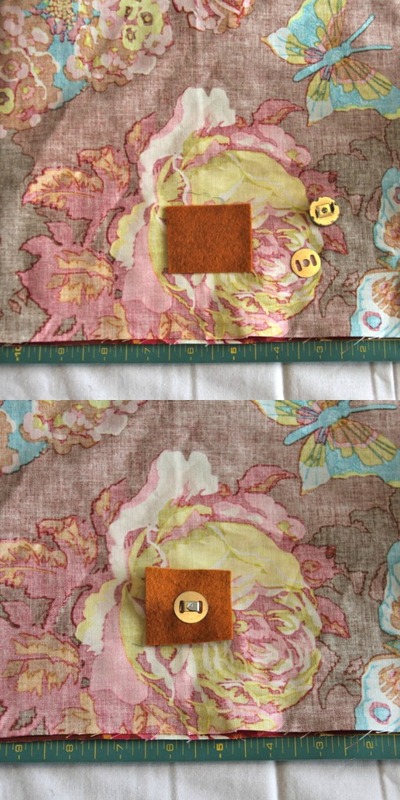 Sew up ONE side of your INTERIOR fabric and leave a 3" opening on the other side. Again, leave the top open. 6. Using the instructions on the packaging, install your magnetic snap. I didn't use interfacing on this clutch, but wanted to make sure the snap was sturdy, so I put a layer of felt in between the fabric and the snap. 7. Stay with me & read carefully. Keep the INTERIOR fabric inside-out and turn the EXTERIOR fabric RIGHT-side-out. Put the EXTERIOR fabric INSIDE the INTERIOR fabric. Line up the top (pin if you'd like) and sew ALL the way around. 8. Now, using the hole we left open earlier, pull out the EXTERIOR fabric and then sew up the edge of the INTERIOR fabric using a topstitch. Stuff the lining inside, press and VOILA! I like folding it up a tiny bit so that the lining peeks through. 1. Make it in leather, which is next for me! SO fab! 2. Add a zipper, rather than the magnetic closure. 3. Make the outside colorful, with a solid lining. 4. Add interfacing to make it sturdier. 5. Topstitch the top opening. Thanks for the tutorial. I can't wait to try this. And I love the new blog design! i love this and can't wait to try it! thanks for sharing!! Also, love your skirt (anthro, right?) I looked at it in the store and then made the mistake of not buying it when I had the chance! totally loving your new blog look darling!!! and this tutorial is awesome!! 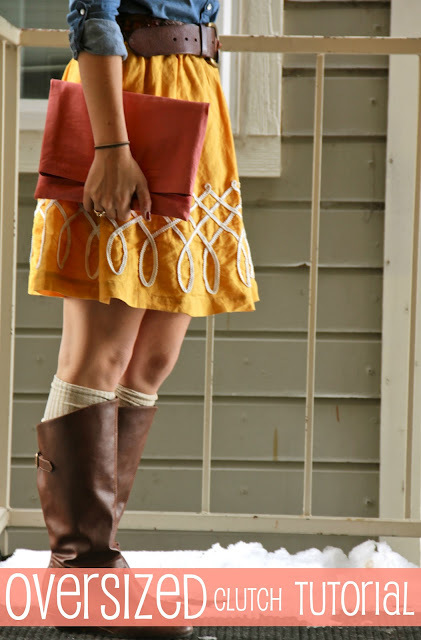 did you make your skirt too? adorable. no, it's from anthro last year! I love the changes! The blog looks wonderful! Also, this is a rad tutorial and I would love one of these fancy clutches for my Kindle DX. 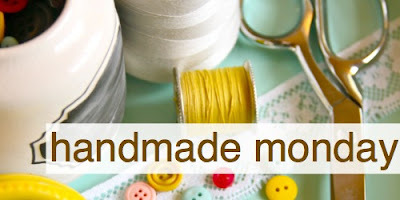 Now, I just need to learn to sew :) Let me know if you plan to put any in the shop! 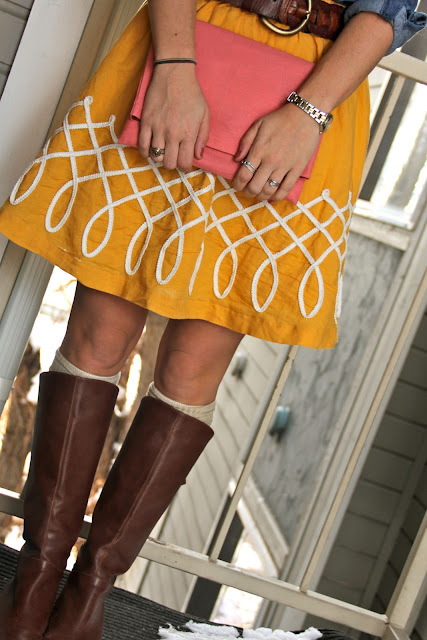 An adorable clutch plus a little blog facelift? Too much good stuff in one day!! So cute!! I love this!!! PS Love, love, love the blog facelift. So adorable! just found your blog! very cute! Adorable! I can't wait to make one (when I find the time, haha). I love your skirt too! I am absolutely making one of these this summer! Also, I've been reading your blog for a while, but I think I just figured out you were a Theta at Texas A&M! Ahh, I'm PC'08! I made one last night...I used upholstery fab and canvas in the interior....i love it! Thank for the easy instructions. Hi dear , this is really a great tutorial!!! It's so pretty and stylish...I love it!! I'm a bag lover too....have a look at my blog!